The Teaching Excellence Award Scheme, introduced in 2008, is an enhancement of the University Teaching Fellowships, to signify the University’s commitment to recognizing and promoting excellence in teaching. The Scheme comprises the University Distinguished Teaching Award (UDTA) and the Outstanding Teaching Award (OTA). The Teaching Excellence Award Scheme, introduced in 2008, is an enhancement of the University Teaching Fellowships, to signify the University’s commitment to recognizing and promoting excellence in teaching. The Scheme comprises the University Distinguished Teaching Award (launched this year) and the Outstanding Teaching Award (OTA) (launched in 2008). Nominations are invited annually. This year, two teachers have been selected to receive the University Distinguished Teaching Award and ﬁve to receive the Outstanding Teaching Award. 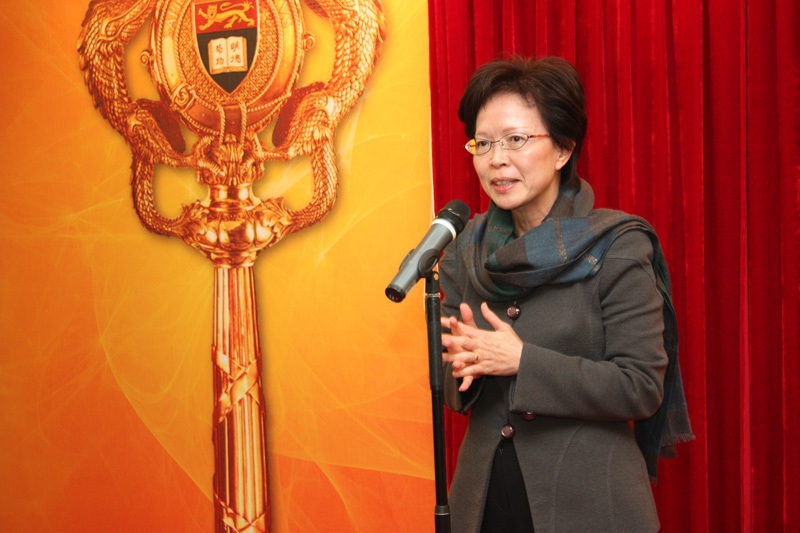 Nominations for both awards were considered by a Selection Panel chaired by the Vice-Chancellor. Internal members of the Panel included the Pro-Vice- Chancellor (Teaching and Learning), the Executive Director of the Centre for the Enhancement of Teaching and Learning, a former recipient of the OTA, a student representative nominated by the Students’ Union and an external member. The external member this year was the Vice-Provost of University College London, Professor Michael Worton. The Panel was deeply impressed by the achievements of the award recipients who all demonstrated clear evidence of excellence in teaching and engagement with students and their learning, and in curriculum design, renewal and innovation. The UDTA recipients further demonstrated outstanding contributions to the leadership and scholarship of teaching and learning at both Faculty and University levels. 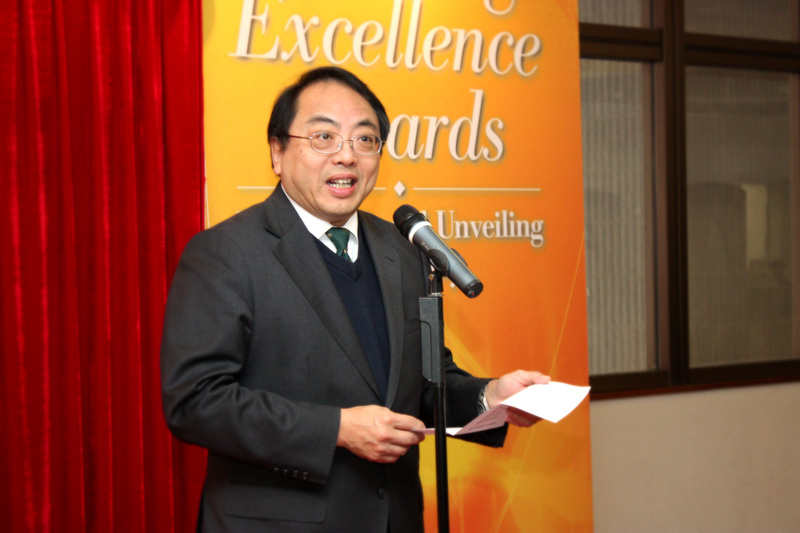 The Panel was conﬁdent that all award recipients would continue to contribute signiﬁcantly to the enhancement of teaching and learning at HKU. 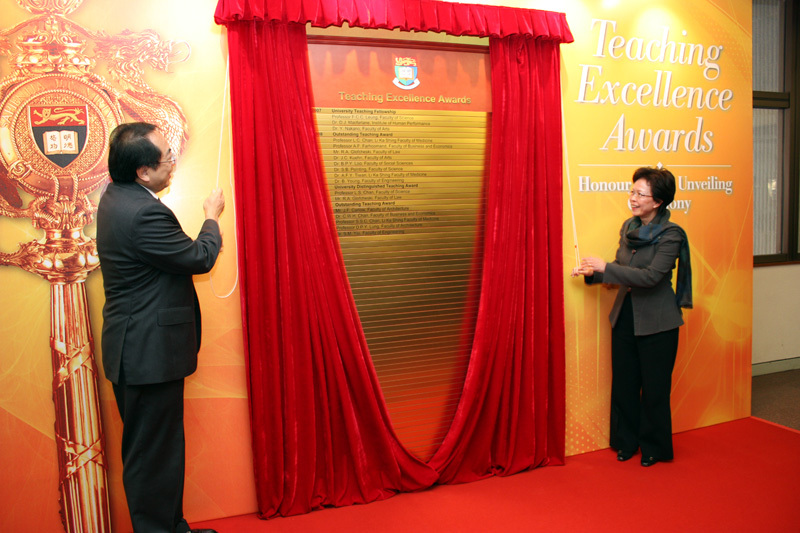 To recognize and promote excellence in teaching, an Honour Board for the Teaching Excellence Award Scheme (TEAS) was unveiled by the Vice Chancellor Professor Lap-Chee Tsui, and Pro-Vice-Chancellor (Teaching & Learning) Professor Amy B.M. 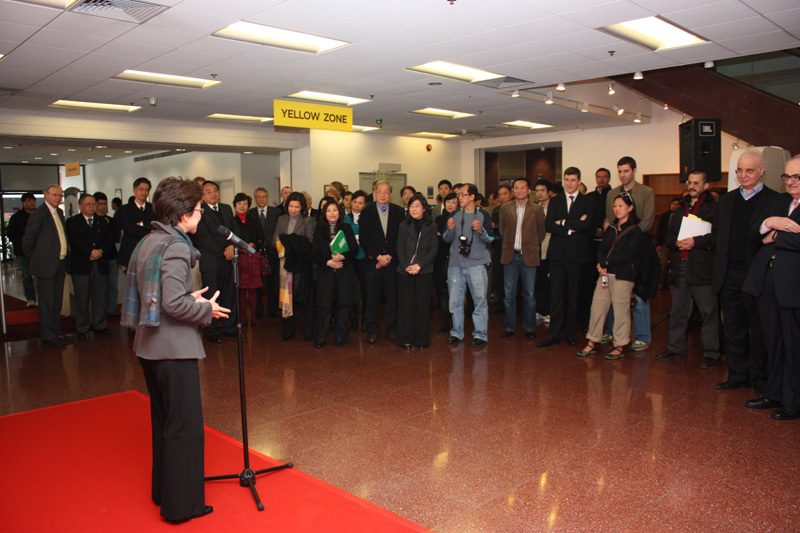 Tsui in the Main Library on January 14, 2010. 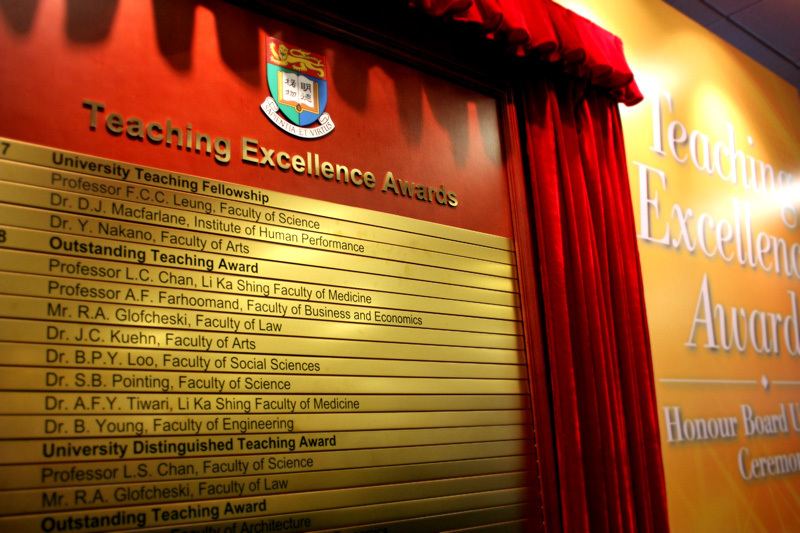 The names of the award winners of University Teaching Fellowship in 2007 and those of the Teaching Excellence Award Scheme in 2008 and 2009 are posted on the Honour Board for a period of five years. In 1996, the University introduced the Teaching Fellowship scheme to reward and promote good teaching. This scheme has undergone continuous improvement to emphasize the importance attached to teaching by the University. The awardees under this scheme were all professoriate staff. This scheme was replaced in 2008 by the Teaching Excellence Award Scheme (TEAS) to encourage participation by both professoriate and non-professoriate staff. The assessment criteria have been refined to distinguish two levels of teaching excellence, covering excellence in teaching and curriculum design for the Outstanding Teaching Award, and the additional attainment of excellence in leadership and scholarship of teaching and learning for the University Distinguished Teaching Award. The award amounts have also been increased to bring them closer to the Outstanding Researcher Awards. 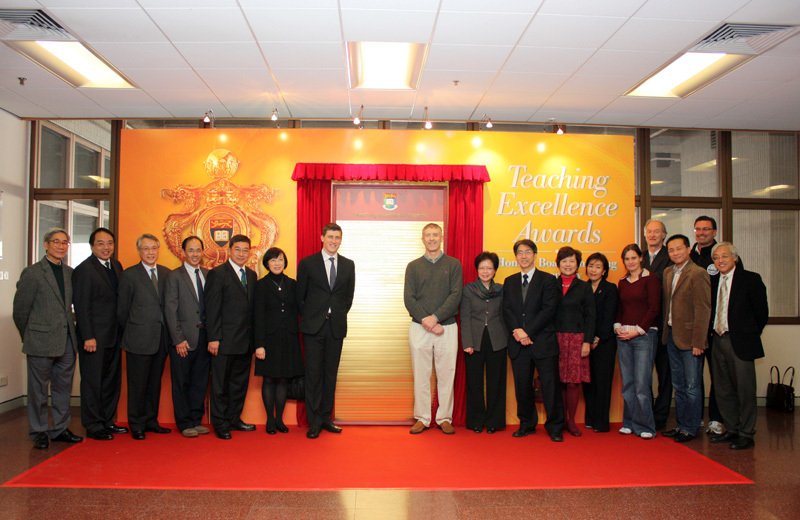 Awardees are expected to contribute to HKU’s teaching and learning initiatives, including sharing their work and participating in the work of preparing and implementing the 4-year Curriculum Reform. Most Faculties administer their own teaching award schemes. In some, receiving the Faculty-level award is a pre-requisite for nomination for the University-level award. These schemes enable nominees to receive useful formative feedback from their Faculty peers. 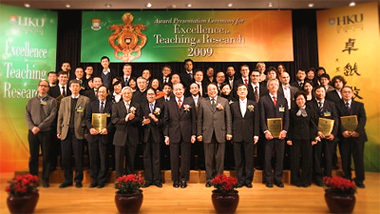 HKU staff may view document 65/908 to learn the origin of the Teaching Excellence Award Scheme and document 602/509 to read the May 2009 circular from the Pro-Vice-Chancellor (Teaching and Learning).